India demonstrates a high level of proficiency in print design, web design and multimedia design. Skilled using the Adobe Creative Suite, India has obtained knowledge that span a wide variety of design applications for almost every design solution. India uses visual art and design to help people go from a "good idea" to a creative entity; further enlightening, encouraging and engaging an audience through print and screen. 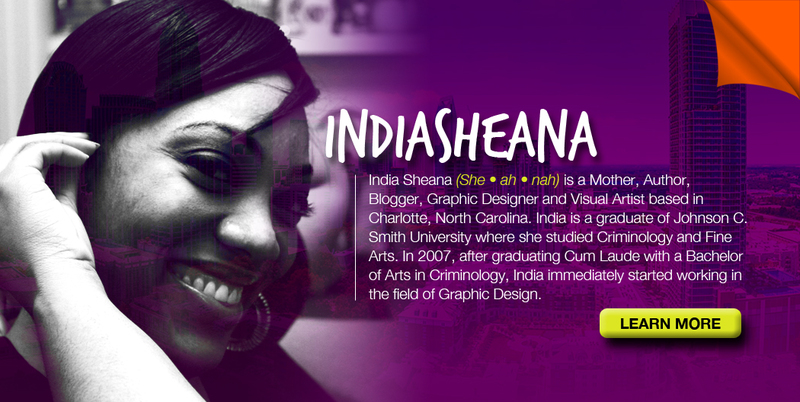 (source: indiaSheana.com) FOLLOW INDIA ON SOCIAL MEDIA! Site by indiaSheana. All Rights Reserved. Mommy Blog!